Why is My PC Making a Clicking Noise? If you hear a distinct “clicking” or tapping coming from your PC, it’s probably worth investigating. Let’s take a look at some problems that can cause your PC to make a clicking noise. PCs make a lot of sounds. Some of them—like the hum of an optical drive spinning up or whine from a coil—are pretty normal. 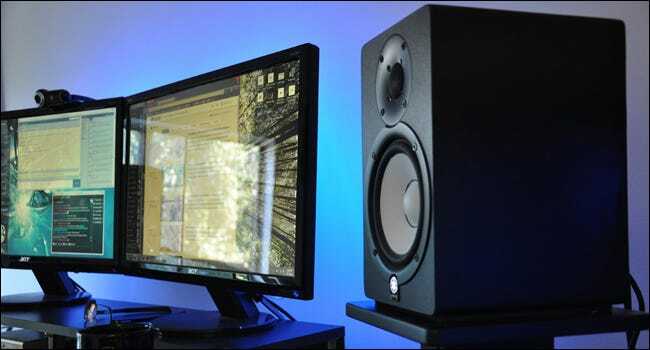 Others, like cracking or popping sounds from your speakers, are frustrating, but not necessarily something to worry about. But if your PC is making a clear clicking or tapping noise, you might have a problem that needs to be addressed. Most of a PC’s moving parts have something to do with spinning—fans, disk drives, CD drives, that sort of thing. Clicking noises often come when one of those parts is blocked, or even failing. So, let’s take a look at some of the problems that cause this sound. A little low-volume clicking is actually expected from most hard drives. Inside the metal case, a hard drive looks a lot like a high-tech record player. That’s because it has some of the same design elements—a spinning “platter” disk where the information is stored, and a moving actuator arm that can read and write the data just like the needle plays music from an old record. A fully-functioning hard drive that’s powered on will make a soft “hum” or “whir” noise from the spinning disk, and more audible “tap” noises as the actuator arm moves rapidly back and forth. Note: if your computer uses a solid state drive (SSD), a type of flash storage with no moving parts, it’s safe to assume that any clicking noises aren’t coming from the storage. Mechanically, the optical drive in your computer is similar to the hard drives described above—the only difference is that you can remove and replace the storage medium. 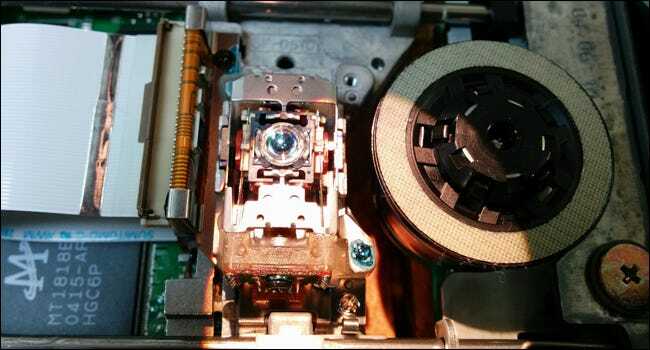 Since optical drives also use a spinning disc and a moving arm with a laser lens, it will make some of the same whirring and tapping noises as it reads or writes data. 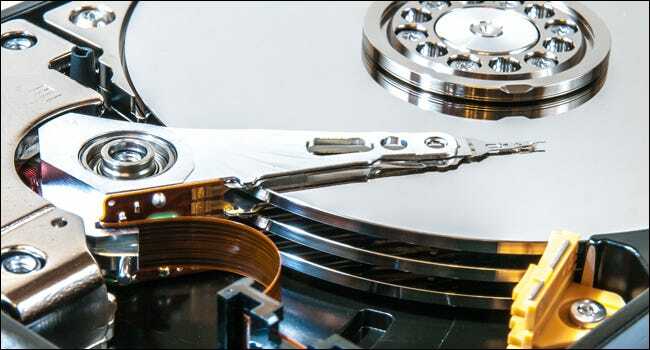 A loud clicking sound usually means that either the drive is trying to read data off of a faulty disc, or one of the moving parts like the small electric motor or the laser track is faulty. Luckily, a failing CD drive isn’t an immediate, “back up your data now” problem like a failing hard drive. Unless you have some crucial data you need to access on a CD or DVD, your PC can get by fine without one. If you want to fix it, replacement internal drives are easily available and simple to install (just make sure you get an IDE or SATA drive that matches the connection on your motherboard). Even some laptops have modular disc drives that can be swapped out. If you’d rather not crack open your PC case, there are plenty of external USB-based disc drives to choose from. 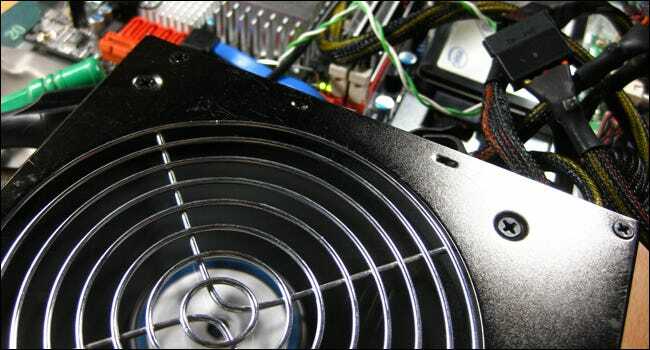 Most desktop computers have some kind of active cooling—a system of small fans that draw air into the case to cool components and expel hot air from the case. Sometimes, the internal wiring of a PC (especially a desktop) can drag or snag on one of the fans, creating a “tap” or “scratch” noise. This often happens when the internal components have been jostled a little, like after the PC has been moved from one room to another. This one is an easy fix: just turn off the computer, remove the case or access door, and check for any loose power or data cables that are in close proximity to a cooling fan. Make sure and check the fans on your CPU (the large block in the center of the motherboard) and graphics card, too. You probably won’t need to unplug anything or move it very far, but if you’d like a more permanent solution, you can do a little cable organizing to make sure your PC’s internals are nice and tidy. Clicking noises can also come from fans that are dying or that are just gummed up with dust. While the case is off, go ahead and power up your PC. Look over—but don’t touch—the internal components. If you see any fans that aren’t spinning properly, you’ll need to resolve the problem. You may be able to clean a fan. Power off your PC and remove the fan. Remove all the dust and whatever else is gumming up the fan using a cotton swab and some isopropyl alcohol (if there’s a lot, you can blow it out with compressed air first). When you’re done, you can also spray it lightly with a little contact cleaner. That stuff is designed for cleaning circuit boards, control knobs, and that sort of thing. It also works great for fans. It’s quick drying and leaves no residue behind. Give the fan a few minutes to dry, put it back in your PC, and see if it’s working better. Of course, fans are also pretty cheap to replace, so you might just want to go that way. A loud “click” or two coming directly from your computer’s speakers as you turn it on or off isn’t unusual—that’s just a bit of electrical discharge on the analog connection. Likewise, it’s not unusual for the LCD panel in a monitor to make an audible click as it turns on or off (and it was practically universal on the old “tube” CRT monitors). If you hear a more constant clicking noise, something might be wrong with either component. ....You might have an issue with your power supply or wiring. Thanks to HTGeeks for this help/info.